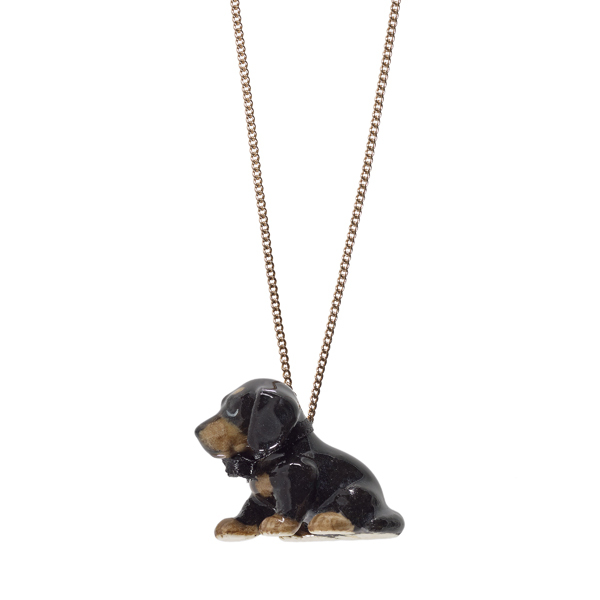 Cute hand painted porcelain necklace of a sitting black dachshund puppy wearing a smart black bow. Delivered in a branded gift box by And Mary. This pretty necklace is made from 100% porcelain and should be treated as fragile. Cute hand painted porcelain necklace of a sitting labrador puppy with a pink bow. Hand painted porcelain necklace of a cute little bambi.